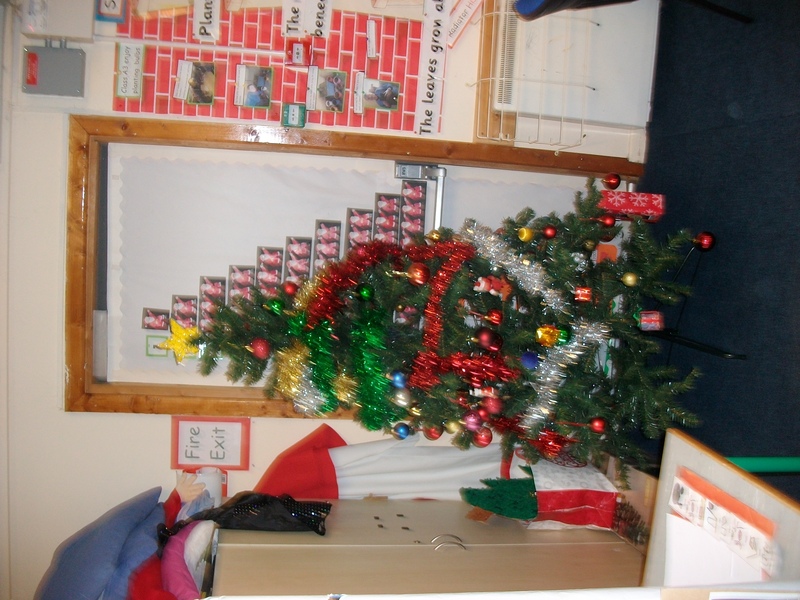 Class A3 are taking part in Christmas Shoe Box appeal. 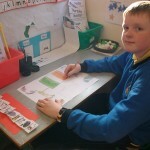 As part of our travel flag, the children made a special box for children over other parts of the world to show we care. Our boxes will travel far and wide, a kind gesture from our children. 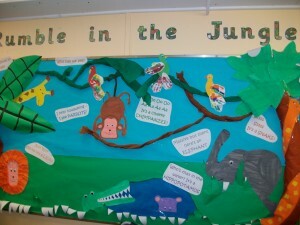 This impressive display will surely scare the children away!! 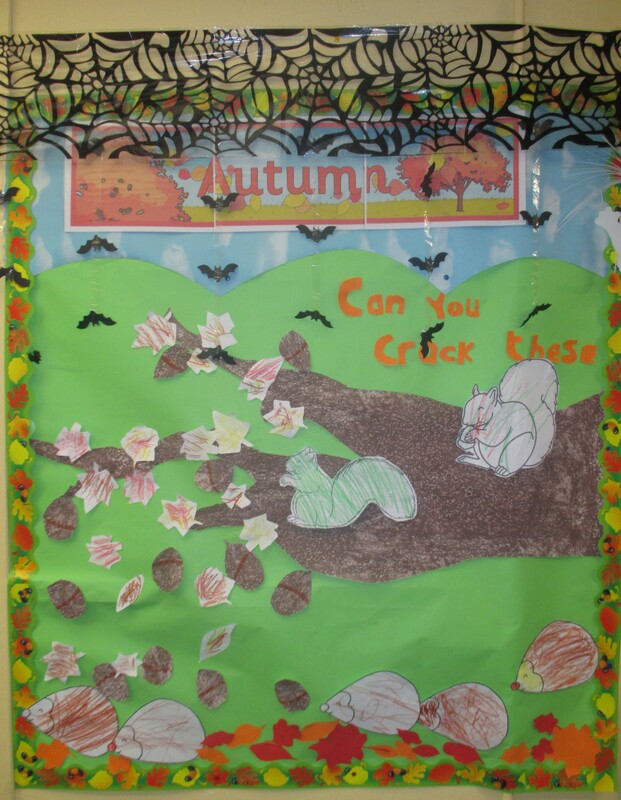 Autumn has truly arrived in Class A2 with the children busy creating falling leaves, acorns and other decorations for the display board. 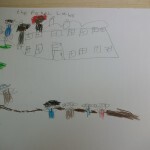 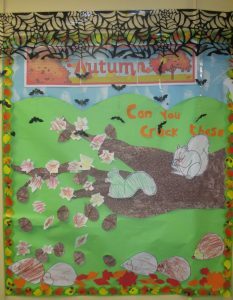 The children are learning all about Autumn and ‘The Little Acorn’ story and a new song ‘Leaves are Falling’. 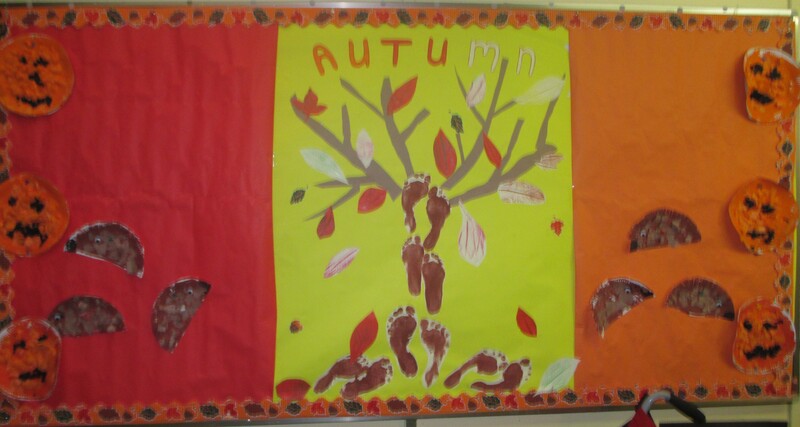 The children in Class A1 are all set for the Autumn with this lovely display of their art and use of autumnal colours. 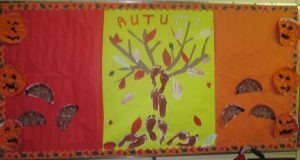 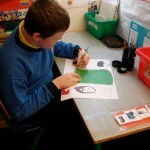 The children were busy making foot prints for this autumn tree using lots of paint. 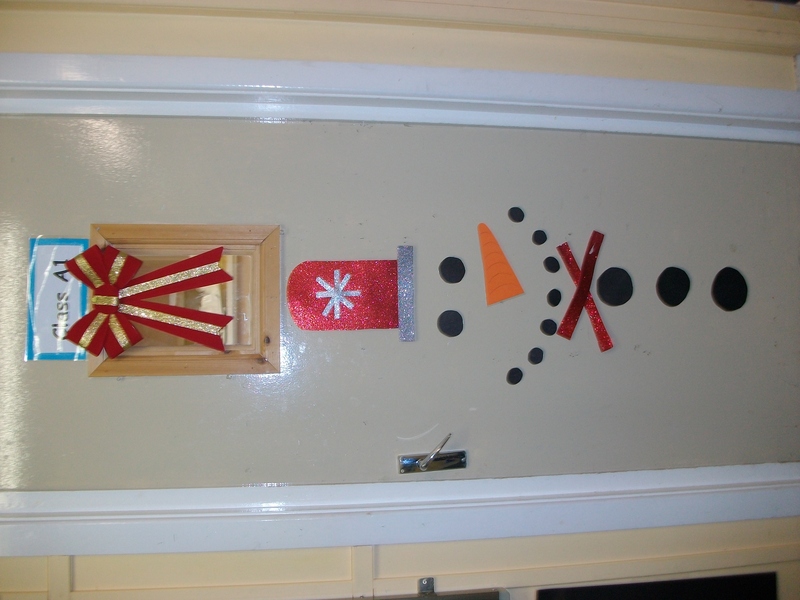 Class A3 have been very busy in the run up to Christmas, being involved in the Holy Door Celebrations, taking part in the school’s football team (we’re really good!) 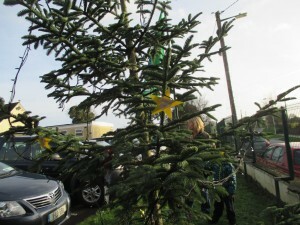 and putting up their own Christmas decorations. 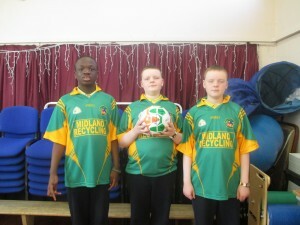 Eoin, Cian & Adam played a big part in our soccer team! Class A1 have been busy during the first half of term! 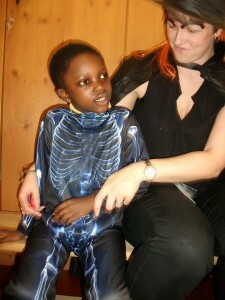 They go horse riding once a week and prepared for Halloween by getting into the trick or treat spirit nice and early! 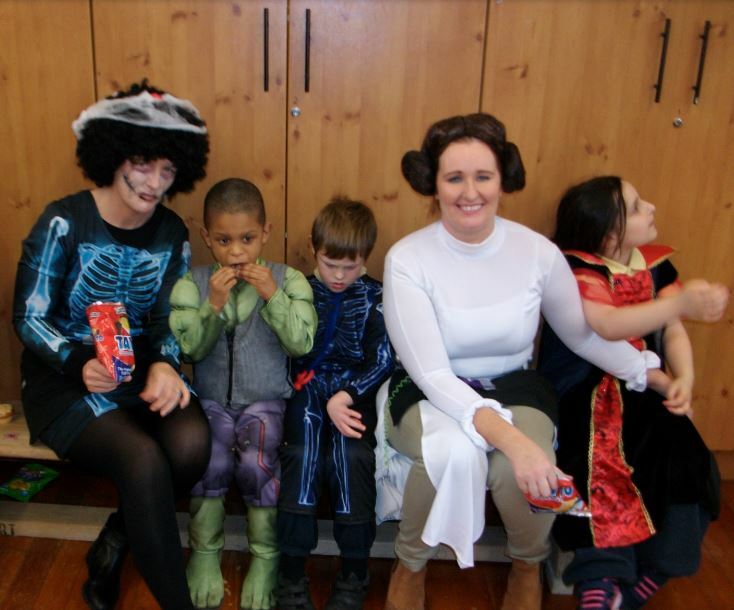 Nice costumes guys, especially Princess Leia! 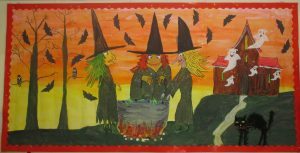 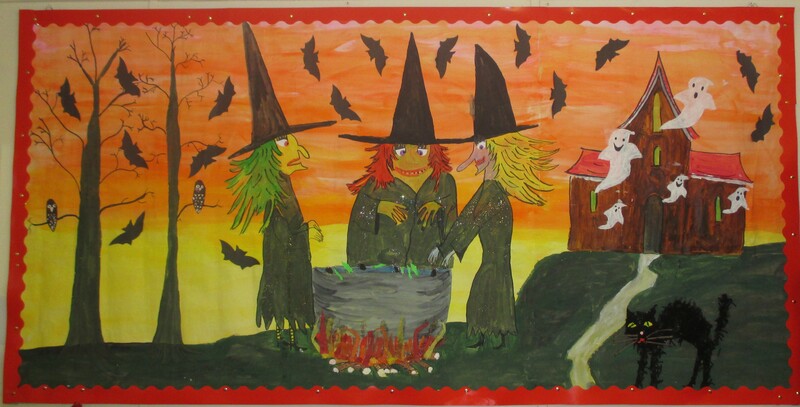 A2 have been busy this half of term also preparing for Halloween and by also taking field trips to places such as Dalgan Park. 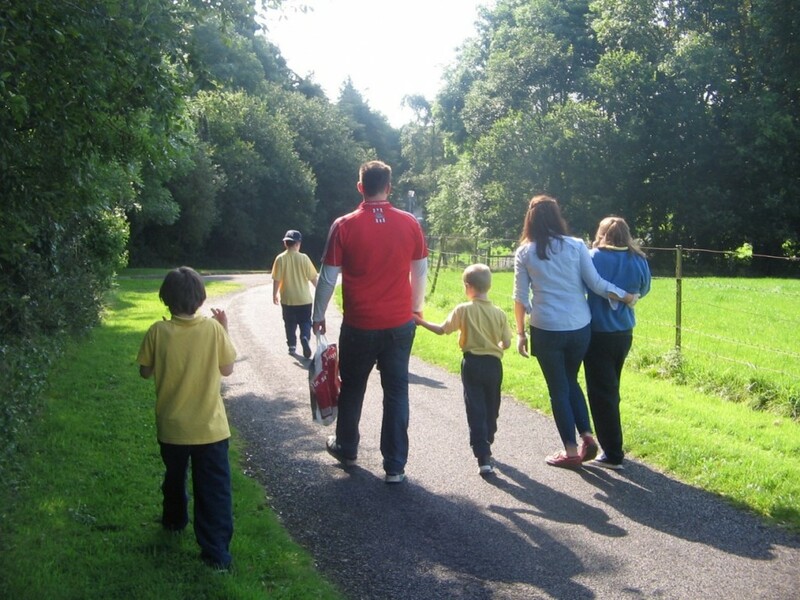 These trips produced this beautiful photo of A2 walking through Dalgan Park. 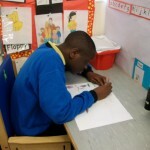 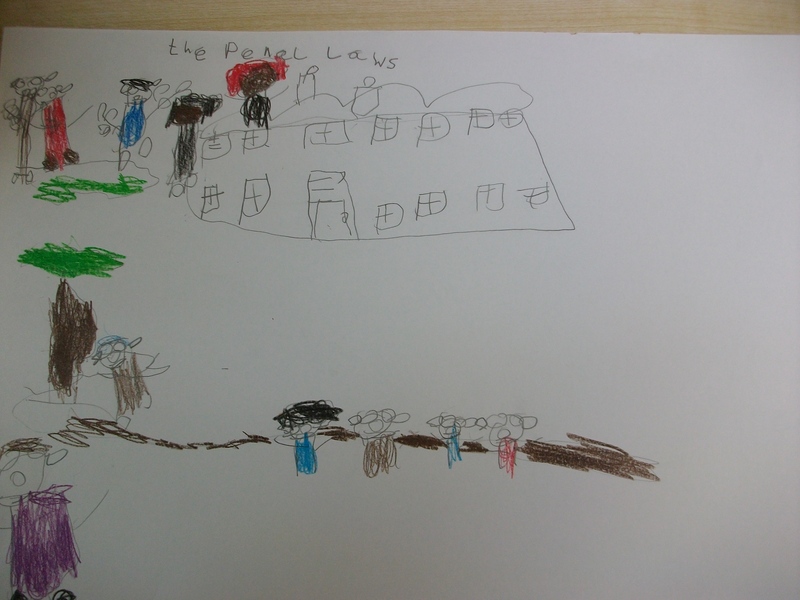 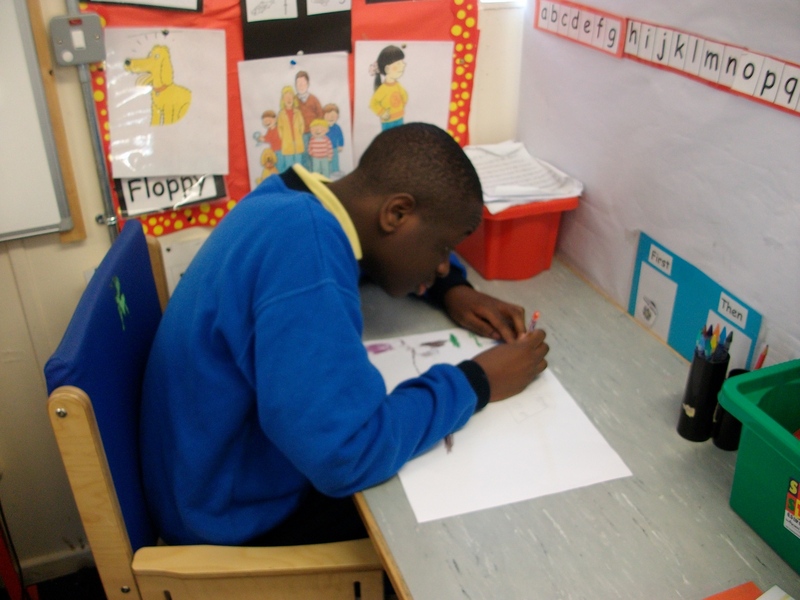 Its been an exciting first half of the term for Class A3. 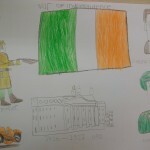 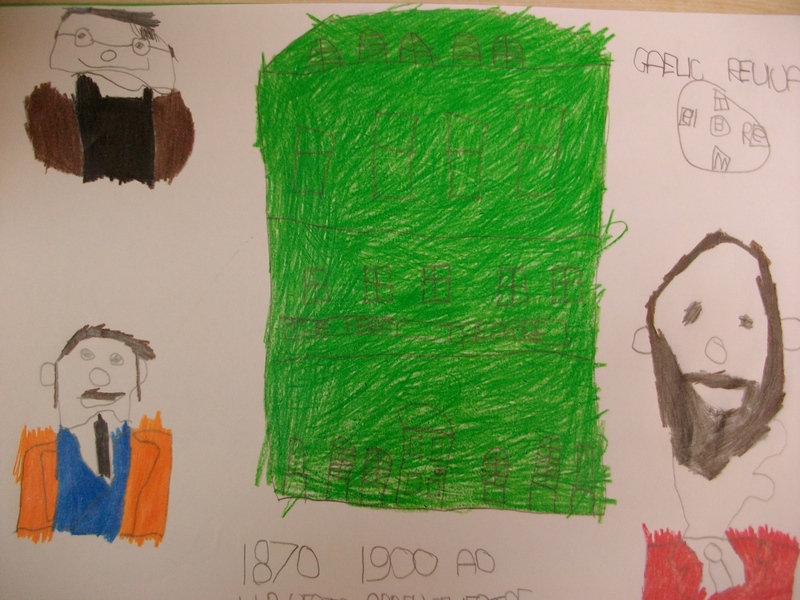 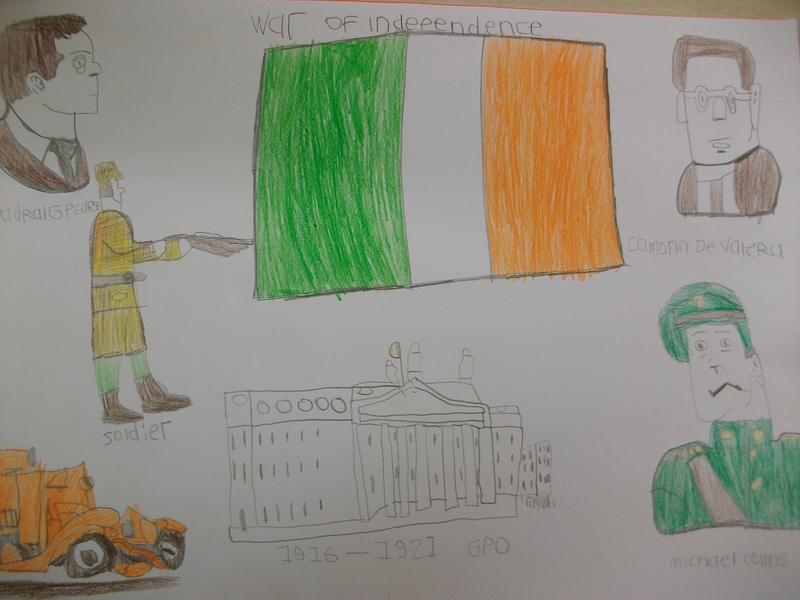 The boys have entered into the Navan Lions Club annual art competition with this year’s theme being ‘Your 2016 memory’. 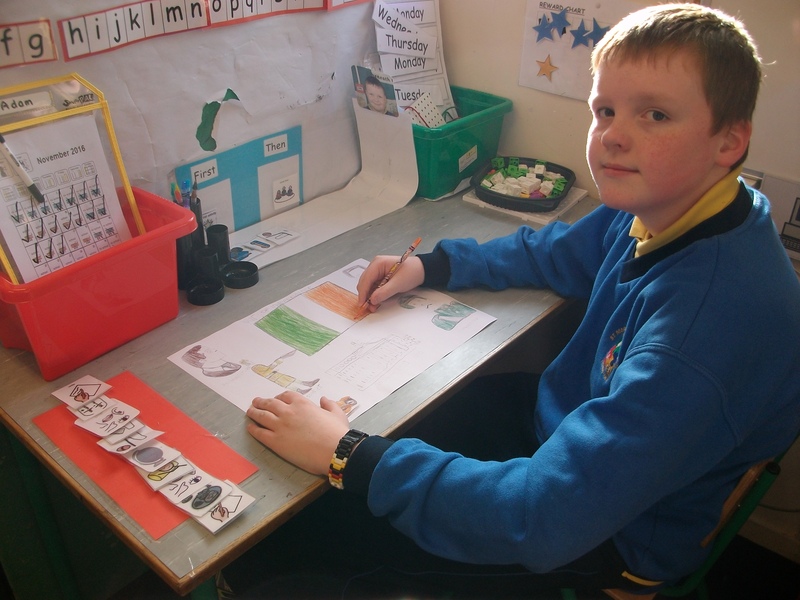 The boys all created lovely displays ranging from the centenary commemoration of the Easter 1916 Rising to The Gaelic Revival. 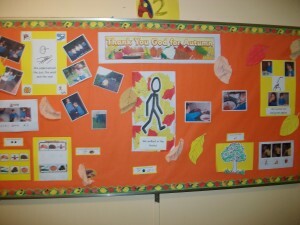 Excellent works of at boys! 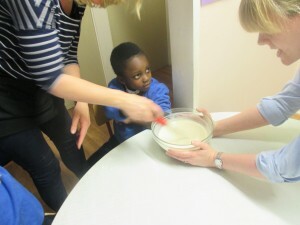 We hope to see more from our Picasso’s in training soon! 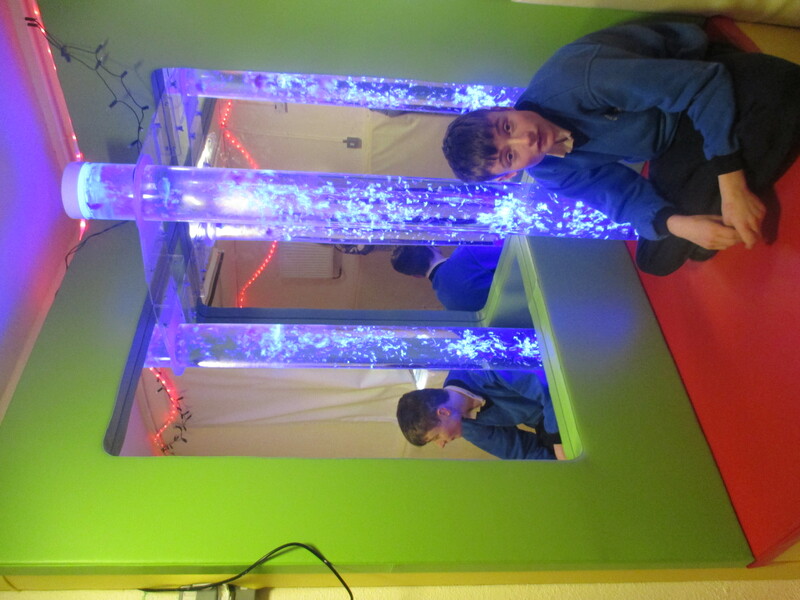 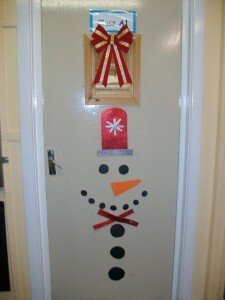 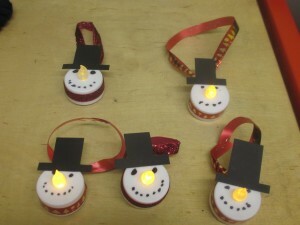 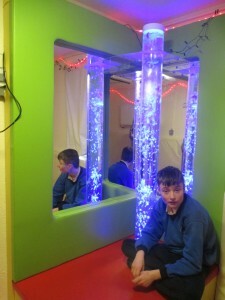 Class A1 were busy in the run up to Christmas. 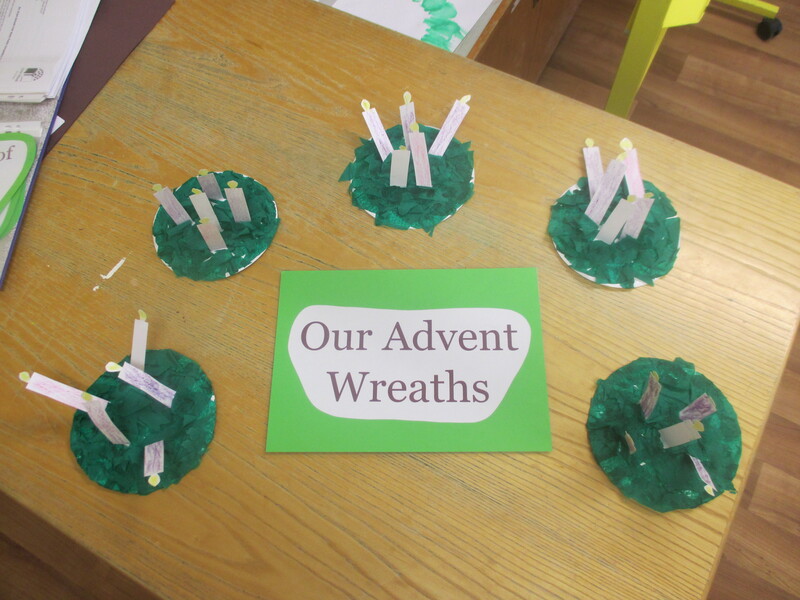 Look at the wonderful Advent Wreaths that they made. 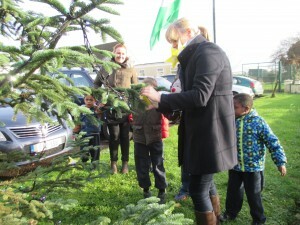 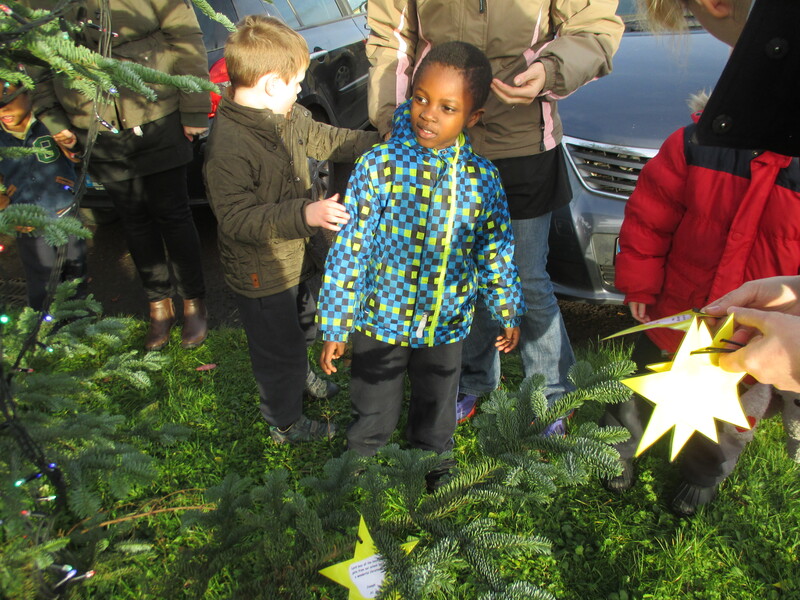 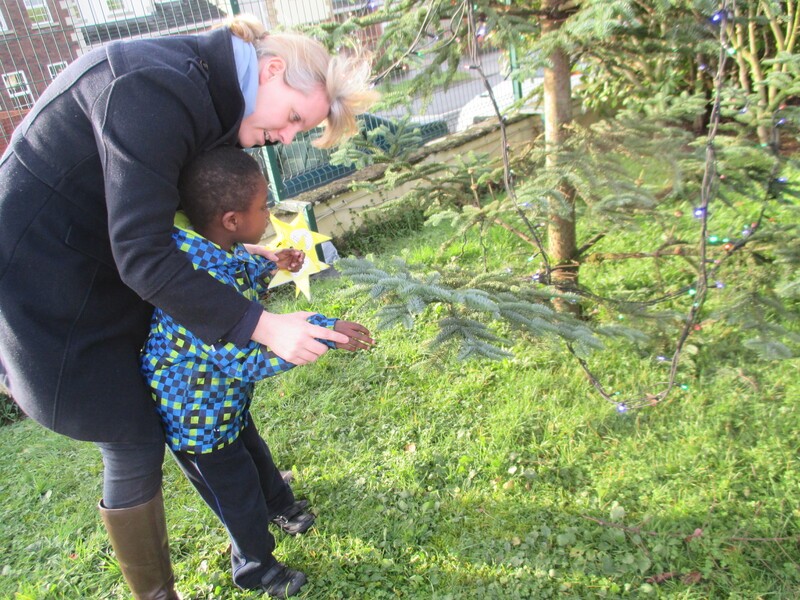 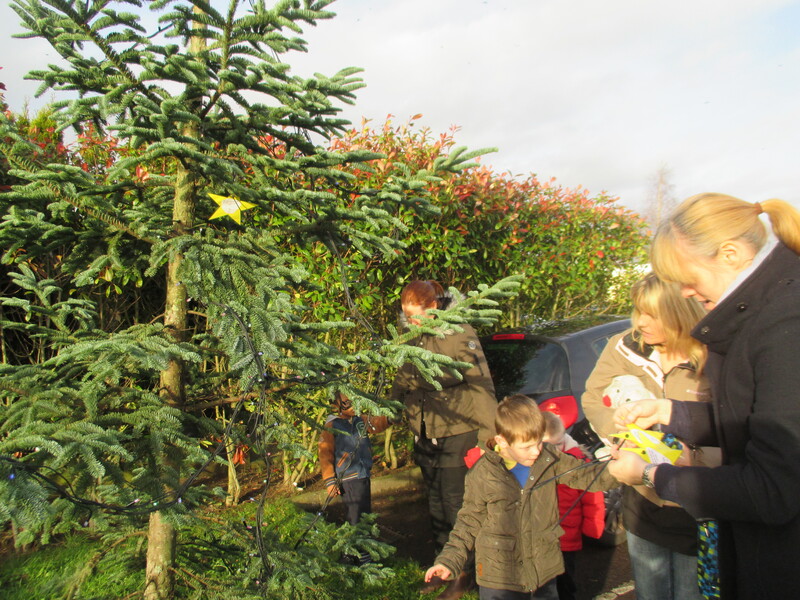 We also made special ‘Wish Stars’ for the big Christmas Tree that is out in front of the school and we all went out together to hang them on the tree. It was a windy day but we managed to get them all hung! We got a real treat when Santa Claus came to visit us. 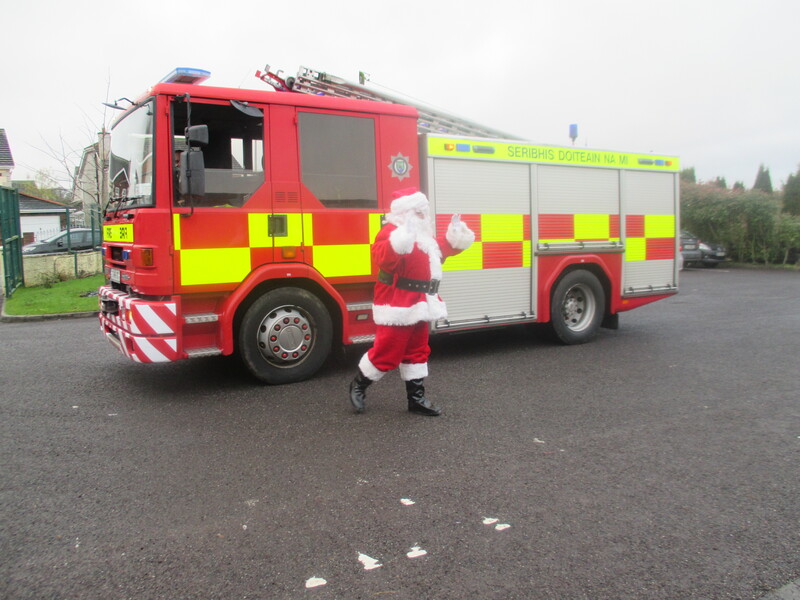 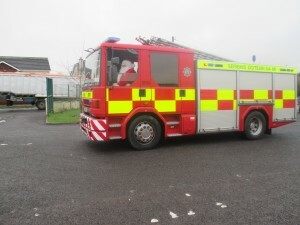 He arrived in a Fire Engine with the siren blaring. The whole school went outside to greet him. 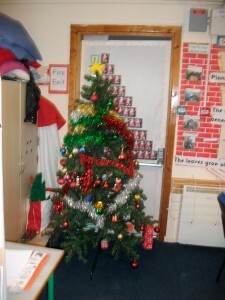 We were so excited!!! 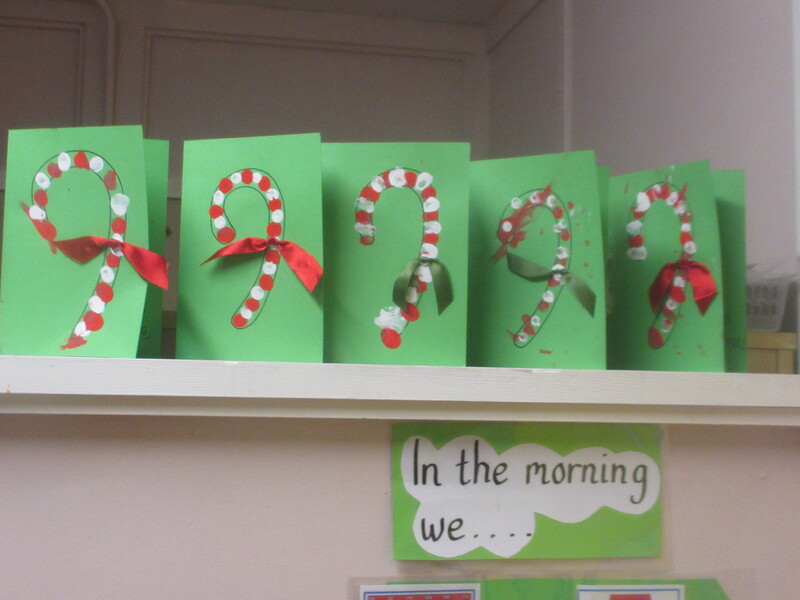 Once all the excitement of Santa’s visit was over Class A1 got down to making some Christmas cards to bring home to mammy and daddy and some Snowman tree decorations. 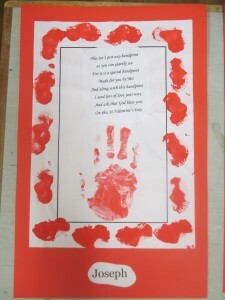 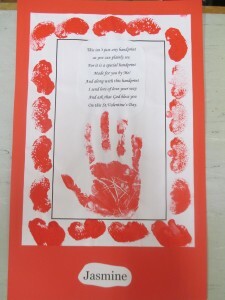 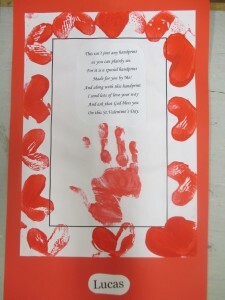 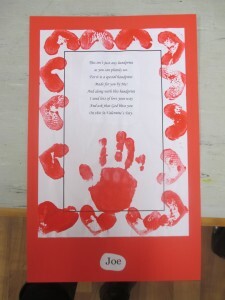 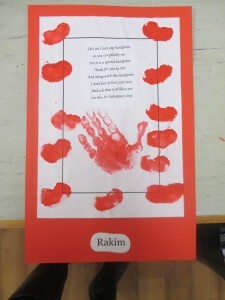 The children used their fingers to print on the stripes for the candy cane cards. 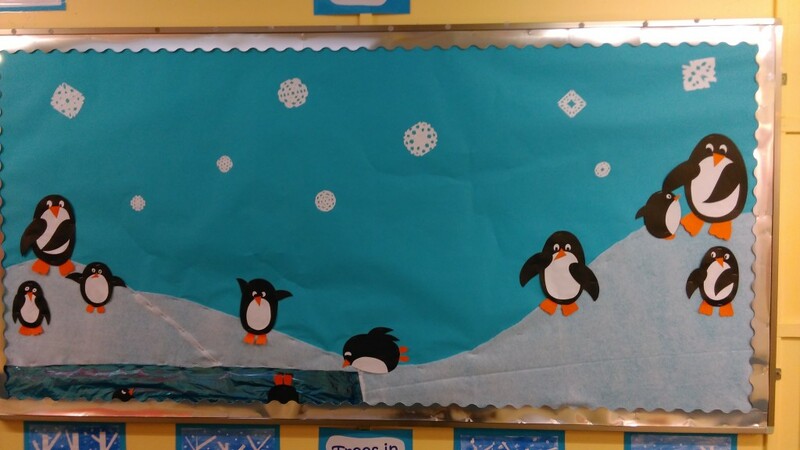 It was all go outside our classroom too as we ‘waddled into Winter’ with our penguin display. Then we got creative while making our ‘Trees in Winter’ pictures. 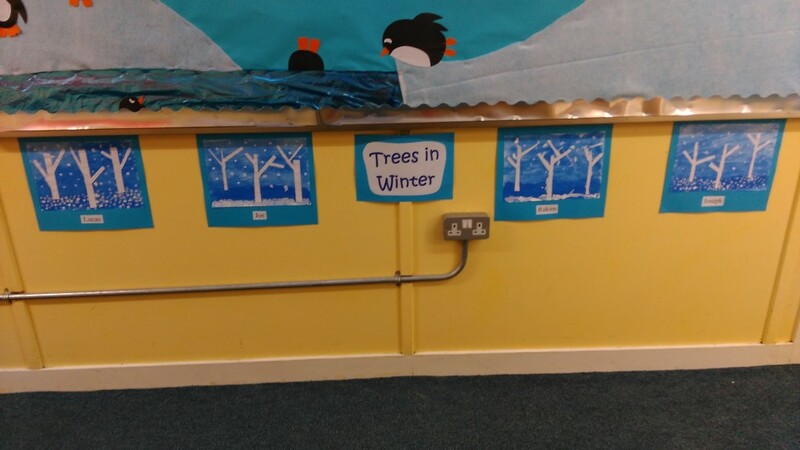 Can you guess how we made the trees? 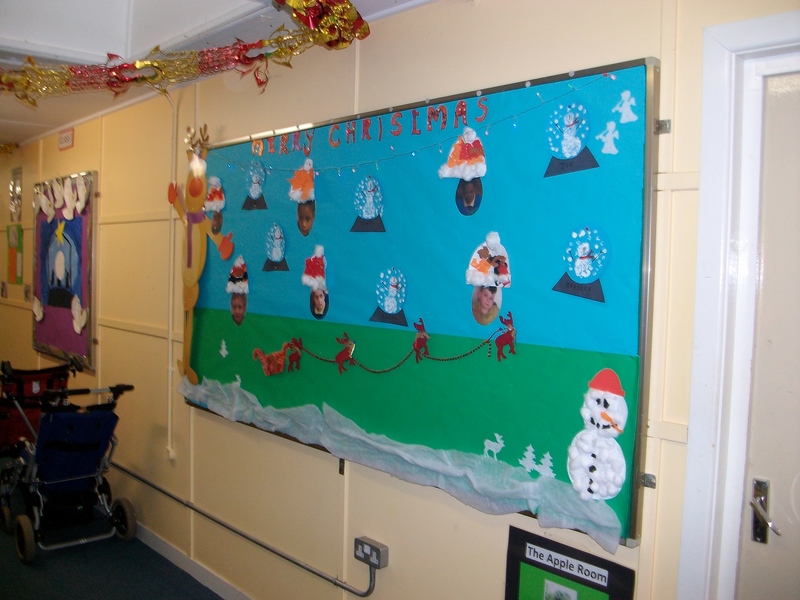 Everyone in Class A1 wishes you a Happy New Year and hopes that 2016 will be the best year yet. 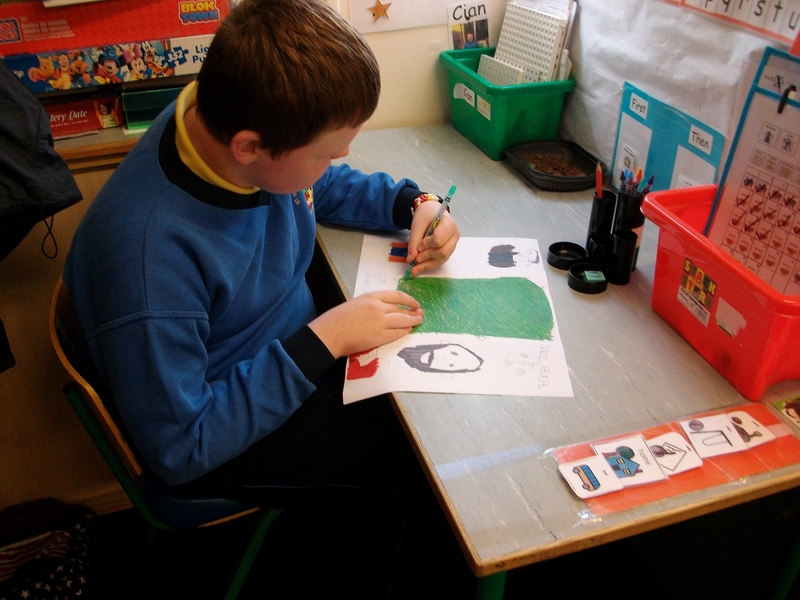 We got straight down to business again when we returned after the Christmas Holidays. 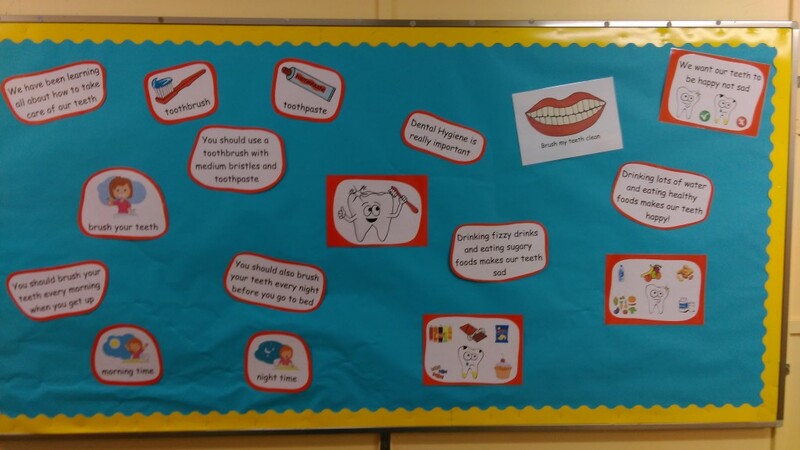 We were learning about how to take care of our teeth properly. 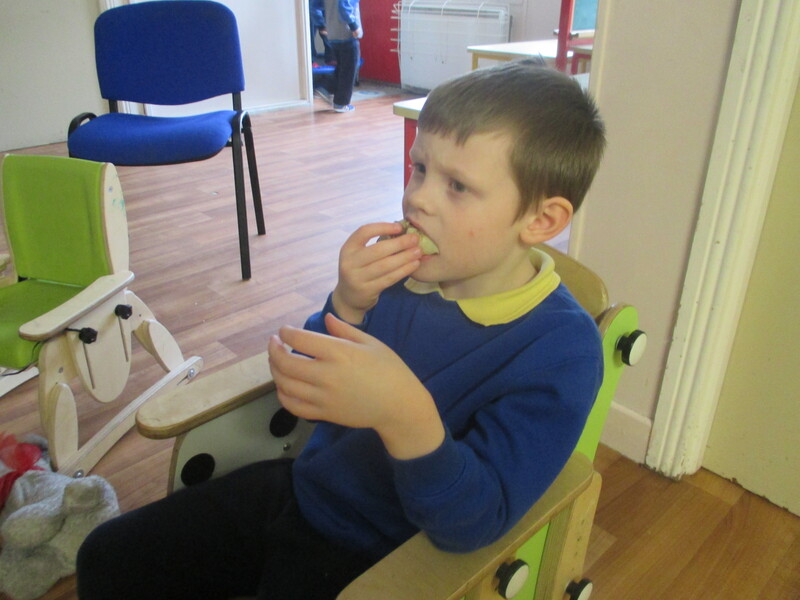 We have been brushing our teeth every morning in school and we have been thinking about what foods make our teeth happy and what foods make our teeth sad. 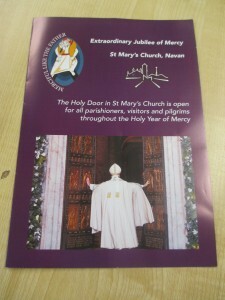 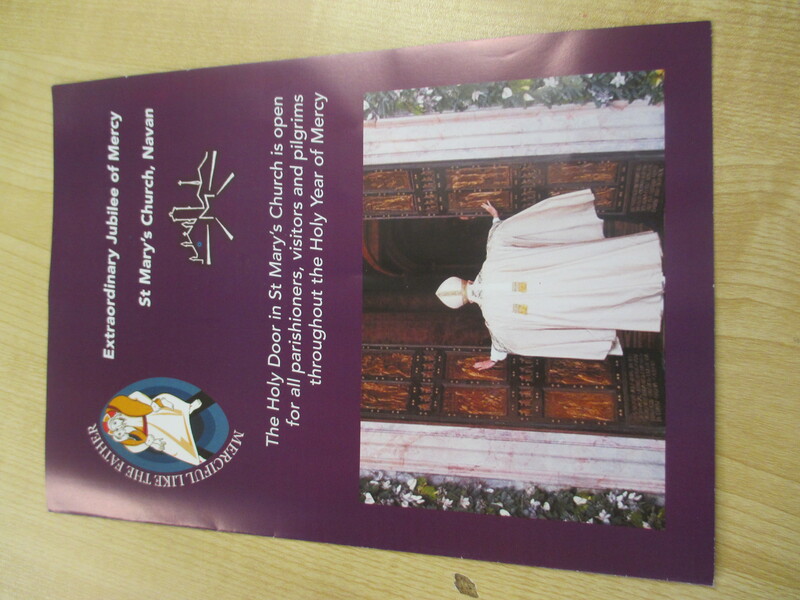 Check out our noticeboard. 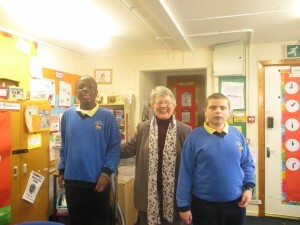 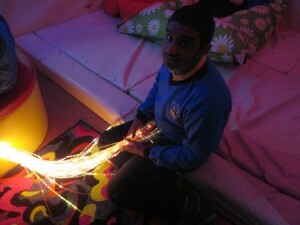 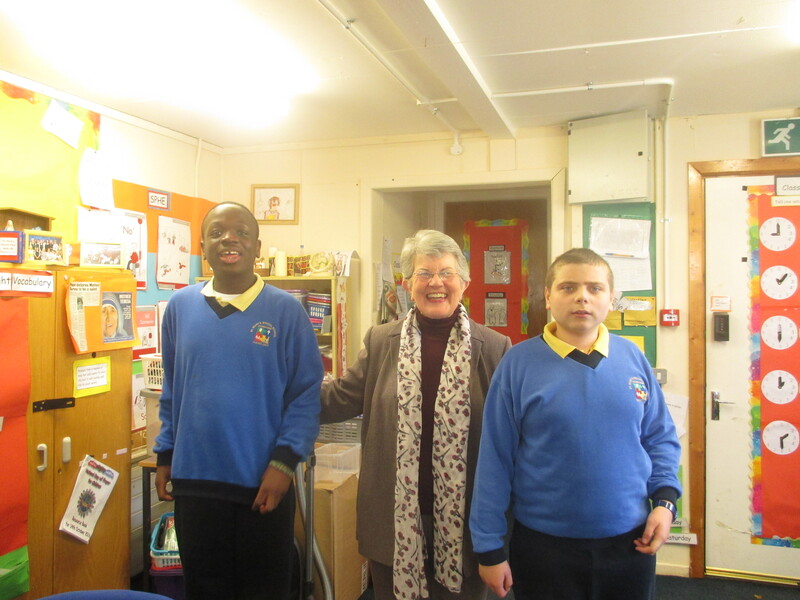 February 1st saw us celebrating St. Brigid’s Day. 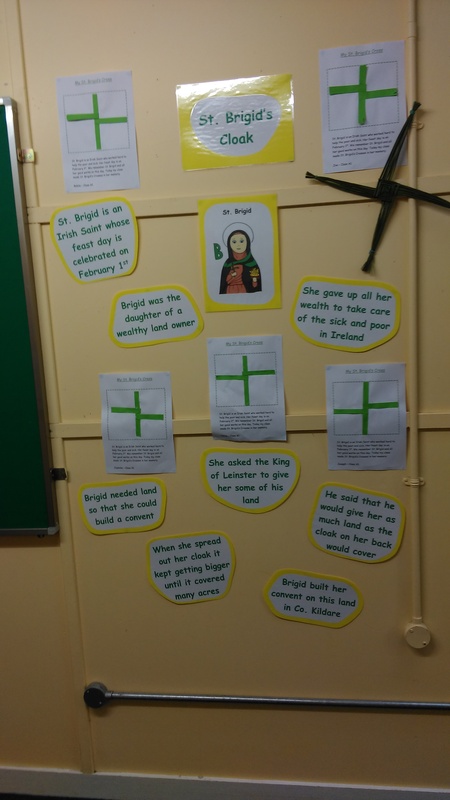 Our teacher read us the story of St. Brigid’s Cloak and showed us a St. Brigid’s cross made from rushes. 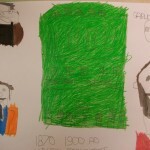 We made our own simpler crosses out of green paper. 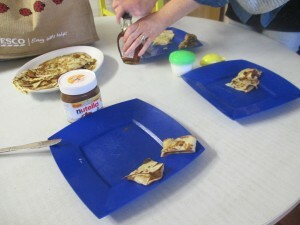 Just one short week after St. Brigid’s Day was Shrove Tuesday or Pancake Tuesday as it has become known. 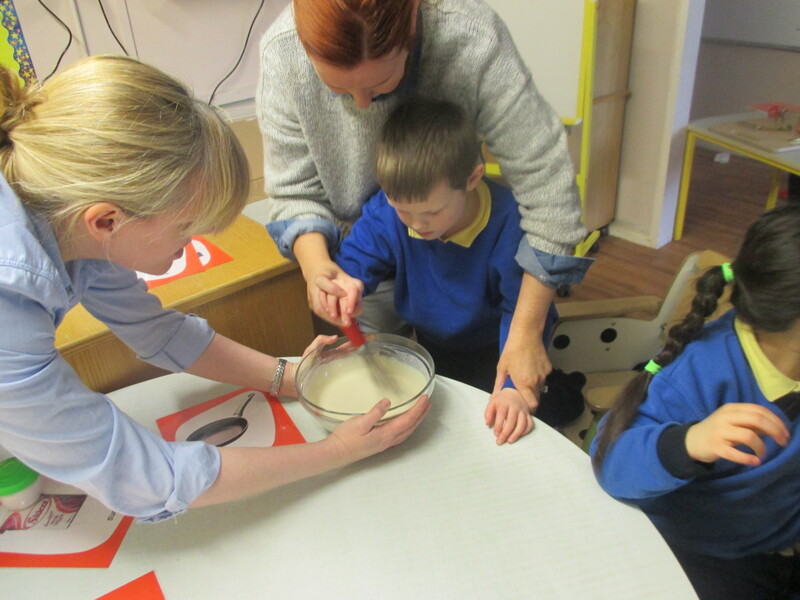 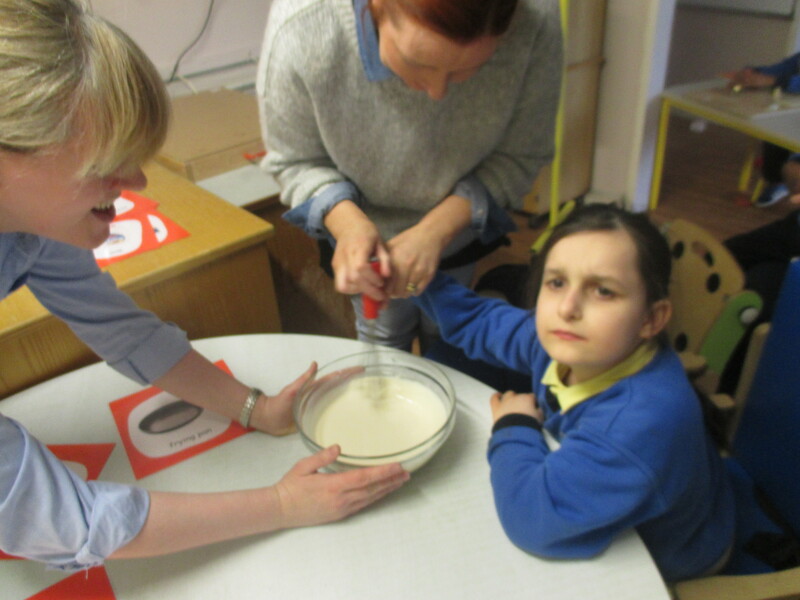 We had super fun making pancakes in our room. 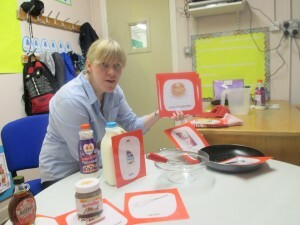 We listened to a poem about making pancakes first, then we got down to preparing our own. When they were cooked we added different toppings like maple syrup, lemon juice and caster sugar but the winner in Class A1 hands down was Nutella! We were busy making hearts for our Valentine’s Day display. 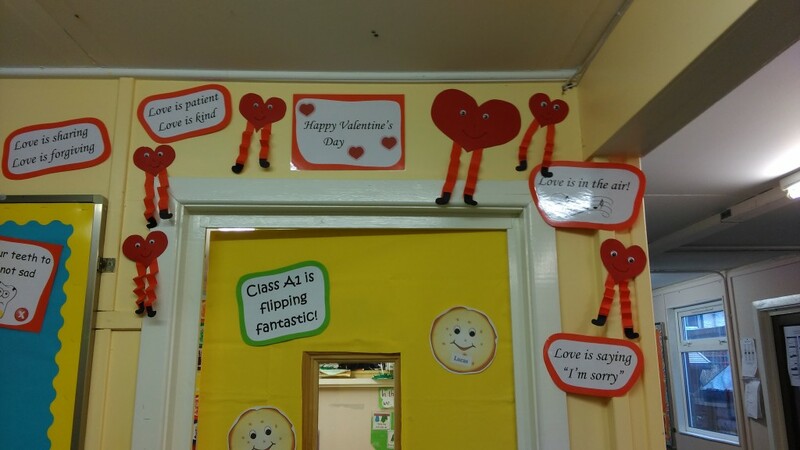 We also did some lovely art work to bring home to our parents for Valentine’s Day.